While in Kathmandu, we have several things to accomplish. Climbing Visas. 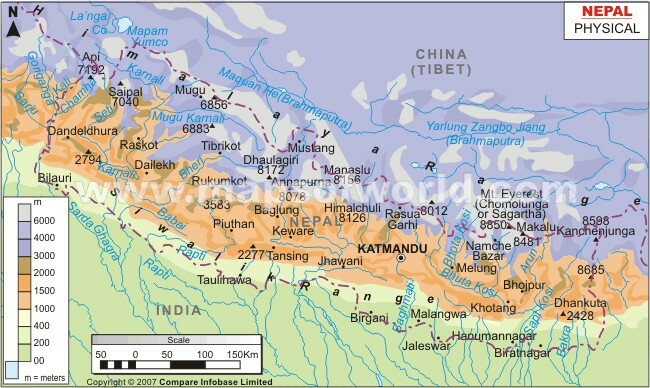 We need to get our visas for Tibet from the Chinese Embassy in Kathmandu. Yep, no shortcuts to this step. According to Dan and others, we take our passports to the Chinese embassy and wait to get the climbing visa. Various websites provide the same details on the visa situation. The Chinese Embassy in Kathmandu issue visas only on Monday, Wednesday, and Friday from 9am to 11am local time and cost roughly $200 US for US passports. I am confident Dan knows how to expedite this process since he has done it many times before. Most people who describe the process on the web say that it is an odd day of uncertainty - perhaps why so many climbers choose to climb from the Nepal side rather than the Tibet side. Regardless, I am committed to climb with Dan on the north side so this process will be fun or, at a minimum, entertaining. Packing again. 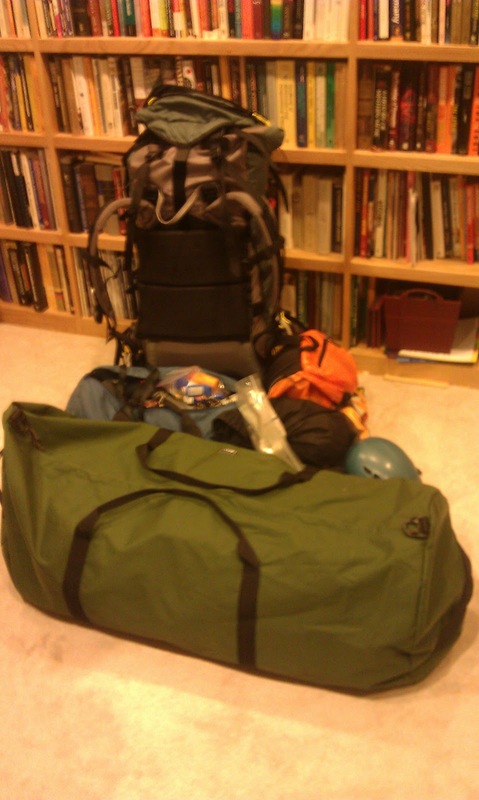 Remember I said that climbing requires packing and unpacking? Well, the airlines require a certain type of packing and climbing requires another. The one novelty for me on this climb is that we will have most of our gear taken to the mountain via cars or some other transportation that does not include me walking with all my gear. 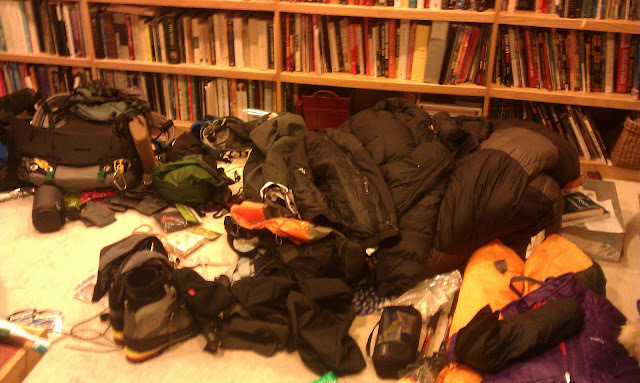 Repacking, therefore, affords each of us the opportunity to divide up our gear and sort it out according to when we need it. for sleeping up high because the masks are uncomfortable - no matter which one you use. I know the discomfort because I slept with my hypoxico mask for several nights when we visited my cousin and his family at the beach. 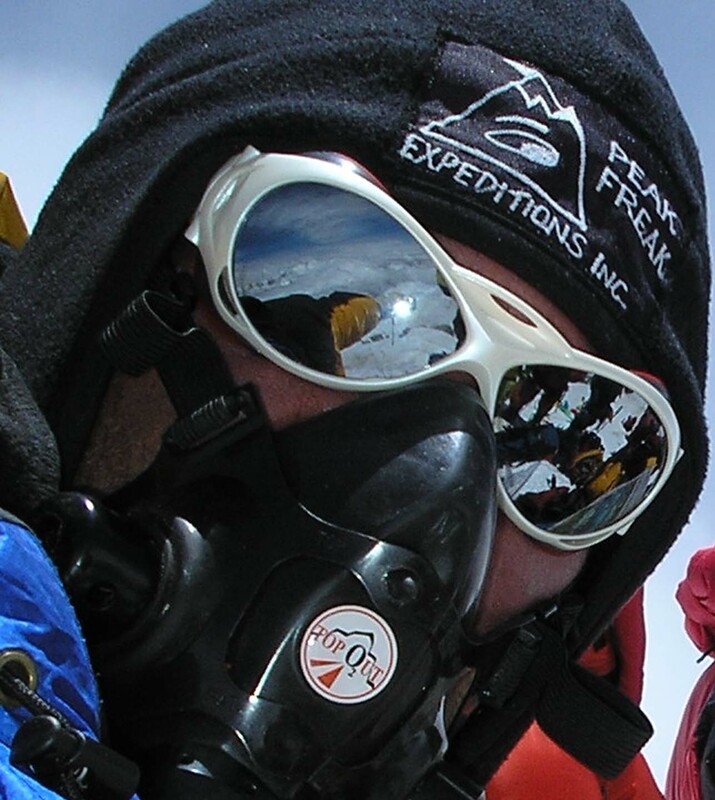 The oxygen mask and cannula need to be picked up in Kathmandu so I plan to make a trip for them - unless Summit Climb provides them for us in advance (for a fee I know). Enjoy a beer and a hardy meal. Beer and other non-essentials might be scarce on the mountain. Even if they are present, I do not intend to drink much while climbing. Alcohol interferes with acclimatization. It would be a shame to train for months, make huge time and monetary sacrifices only to have the opportunity to summit and enjoy Everest get wiped out by a few drinks. Nope. Not me. I love a good beer from time to time but I can easily abstain while climbing. I do intend to have a few cold ones while in Kathmandu. Walk around and meet the locals. It is not every day I get to Kathmandu. In fact, I have never been there so I intend to walk about and see some sights. The sights I really look forward to seeing are the temples and, perhaps if I am lucky I can steal away for a visit with Elizabeth Hawley and Richard Salisbury. These two maintain the Himalayan Database - a compilation of all climbing activity in the Himalaya region. Elizabeth maintained archives, interviews and news from around the area and Richard created the database to store her archives. Together, they would be an awesome team to visit. I hope I get the opportunity either before or after my climb. For $1500, you get a 30-35 hour flight with one stop in some beautiful place like Qatar or Abu Dhabi. Most flights leave in the evening from the US and land in Kathmandu sometime during the afternoon 2 days later. I fully intend to eat my way through the US airports before departing. Perhaps a huge sandwich, Starbucks, and even some sit down sushi. Yeah, I am not afraid to eat sushi at the airport. Once aboard, I stay awake for the first and last 15 minutes of every flight. Those two segments are the most likely times to have a mishap on the airplane. During those segments, I wear my shoes (flip-flops usually) and have nothing in front of me to distract me. My son and I have a pre-flight checklist. We count the number of seats in front and behind to the nearest exits. Should we run into trouble, we devise a plan for the nearest exit. This whole ritual freaks Kathy out a bit. Patrick and I remain steadfast proponents of being prepared. I might not have made it in the scouts but I sure live by the motto "Be Prepared." Off we go, into our flight. After the first 15 minutes, I fall asleep and usually awake sometime about 30 minutes prior to landing. One flight to Australia, I slept for 12 hours - perhaps even more. Yeah, I know. Staying in one seat during a flight is bad for circulation. It never seems to bother me. I toss and turn while sleeping upright so that movement probably helps my circulation. Looks just like a small airport in the US. The first leg of my journey is over at this point. From here onward, I intend to follow the steps outlined by Dan Mazur and his Summit Climb group. You can find more information if you want the details at his website. What does a typical Everest expedition look like? Post 2: Days before departure. The more I researched the typical expedition, the more details I added to this post and ended up breaking the long post into many smaller posts. I figured if you miss one, you can always go back and read up to the latest. So relax, grab one of your favorite beverages, and prepare to read a novella. I will post about a chapter a day to keep you riveted (HA!). I apologize for the length but I wanted to give everyone adequate detail. You've been forewarned but I encourage you to read on. Remember, the goal is to give you an overview of a typical Everest expedition. Since some expeditions may last up to 60 days (including travel) there are many days to account for throughout the trip. I'm not sure if there is a typical expedition but I will strip away all the non-essential differences between expeditions and provide some perspective on a climb like Everest. For those of you who really want to know more, I highly recommend you read Ed Viesturs and Dave Roberts' new book "The Mountain: My time on Everest". Ed and Dave provide a full description of historical climbs along with Ed's climbs on Everest. The purpose of my post is not to rehash any historical climbs but rather to provide you - my friends, family, colleagues, and readers - a little perspective on what I am trying to prepare for over these years. I also benefit from this post because I researched every step to ensure I know what is in store for me in the upcoming months. My expedition details begin with the few days before departing from a home country (USA) to Kathmandu, Nepal and end with the full return home. You will hear this repeatedly in all my blog posts that the summit is my home; the top of Everest is only half-way through the journey. So here goes...(stay tuned for the next installment...."Days Before Departure"). Week 20 Update: October 28th, 2013 - Fingers tingling, severe typos, brain not functioning well during this IHT session. Very strange. Sleep, sleep, sleep - best advice I can give to myself is sleep whenever and wherever possible. If I were grumpy while in your presence this week, I apologize. I cannot say it will not happen again but I aim to get better at sleeping and resting from now on. I am slowly becoming a utilitarian eater. Nothing sounds good and often I just force myself to eat. The hypoxic sleep destroys my appetite. I love food and nothing sounds good. Now, I just eat. I eat all the time. Strangely enough, I never experienced this sensation when I was training before, however, I distinctly recall losing my appetite - or at least my taste for certain foods - on all high elevation climbs (above 12,000 feet). Time to eat for eating sake. I am using my time on the elliptical to warm-up and recover from runs. Also, I always ride the bike after running to save my legs for the run. The strange thing about running is that it is far more punishing than cycling. Lifting keeps me injury free as long as I adjust the weights according to my previous day workouts and soreness. So far, I am sticking to a nice load progression on the weights and see no ill effects. My overall aim is to maintain muscle mass throughout all these long weeks of aerobic conditioning. Cranking up the tunes in my home gym gives me the added boost to keep pushing to fatigue. Like I noted last week, I was proud of myself to back off when I failed to recover and battled some bug. The time off really helped me shake off whatever ailed me. I decided to change my workout strategy last week. The 19.5 hours were distributed more toward the weekends rather than distributing the hours evenly throughout the week. I think I recover better when I back off during the week. Several exercise physiologists and coaches say “stress is stress” and I get it now. If I have a stressful work week along with a stressful training week, I am pooped at the end of the week. I intend to adjust my workouts according to my recovery and previous day or days stress. The more flexible routine might be difficult for me to plan for but I think it will help me recover from the steadily increasing load. I added some annotations to the figure below to show everyone my plan for the upcoming and past months. My strategy to training for Everest comes from multiple sources - none specifically designed for high alpine training. The combination of Joe Friel and Phil Maffetone's endurance training along with Hypoxico's training regime for hypoxic acclimation (via the Sleep high-Train low, IHT, and hypoxic training) make for a complicated amalgam of stress. My rationale for the training approach is based upon my prior climbs and endurance training. I - like most other endurance athletes - need a strong base to progress; thus, the first 15 weeks of my training routine focused on building a solid foundation. Phase 1 reflects that foundation period where I worked on technique and pacing. Next, I need to build up my aerobic conditioning along with muscle strength and muscle endurance. Phase 2 - my current phase - focuses on a steady load progression for both aerobic and resistance training. I incorporated more speed work while sticking to weight training and ample low-intensity endurance training. The next phase is a blended phase that I am in the process of planning out. I intend to maintain my load progression through at least the first 7 weeks while slowly incorporating more hypoxic training. The hypoxic training reduces my training load and, as a result, may lead to undertraining or even an detraining effect. I want to avoid hitting the mountain in a less-than-fit state. The balance between aerobic conditioning, strength, and acclimatization seems like a fine line and I intend to balance all three. 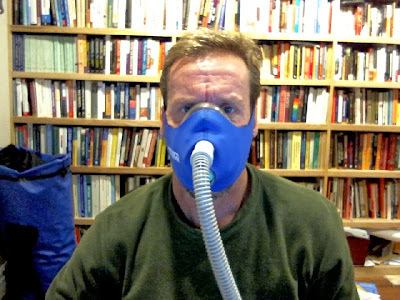 Finally, the last three weeks before I leave for Everest will focus almost exclusively on hypoxic conditioning. I want to be able to work hard at very high levels well before I leave for Everest. Due to the complexity of this schedule, I intend to consult with all the experts in my working team. If you are one of them, expect a few email messages for advice. Thanks for your support and I hope you find this new figure more useful than the previous. Yet another lousy sleep week. Cheryl (my swim coach) suggested that I pay a high school swimmer to drive Patrick to morning swim practice. The idea sounded so appealing that I sent Patrick's coaches a note to inquire about some options. So far, no reply. Oh well. The next step is to avoid all morning swim practices - a bit extreme but may be necessary to keep me sane. Last week's downturn did not exactly stall. The sleep deprivation from earlier this week continued to take its toll on me. I felt so bad on Wednesday - my rest day - that I ended up sleeping about 12 hours during the day. The fatigue was probably a result of multiple things including sleep deprivation, hypoxic sleep, increased training load, work stress, and some flu bug I didn't see to shake off. After Wednesday, my week really improved. I felt great after a complete day of rest on Wednesday. You will see from the figure below that my sleep quality is slowly improving. I guess the cold temperatures outdoors along with my success at battling the thermostat temperature at night allowed me to sleep more restfully. What is a bit alarming is my increased resting HR and decreased spO2. These trends are troubling for sure and I need to figure what may account for these changes. Last week was such a bear that I never got around to posting anything else. Sorry about the delays. I promise to post my pulmonary functioning update after I post this update. My delays are due solely to too much work and not enough time to do much of anything else. Here are some points that I want to highlight. 1. My lactate threshold time trial showed me that my training heart rates were way too low. I was consistently training in my lower zone 1 area where I could benefit a bit from some zone 2 workouts. Perhaps during this rough period, the zone 1 workouts are not bad. I will continue to press and monitor as I see fit while also checking my restwise recovery numbers. 2. Keep sending me suggestions on blog posts and even suggestions on how to improve my weekly updates. I also intend to start working on an update format for my climb. The more I automate the posts, the easier it will be for me to send in more frequent updates to the blog. 3. I intended to start hypoxic training last week but poor sleep and low motivation kept me from doing much of anything other than resting. 4. As I did last week, I want to personalize my blog post with a few notes of gratitude. Here goes….. Thank you Holly Ramos for words of encouragement and great thought-provoking blog posts (see here blog here). Your support means a ton to me. I recall your silent brilliance in high school calculus was motivating and humbling. Your comments have the same effect. Keep 'em coming. Thank you Fallon Goodman for your words of inspiration and encouragement. Fallon is one of my awesome graduate students who shows appreciation and gratitude in heaps. She also told me that my blog posts inspired her to workout. Thank you Melissa Smith who continues to offer encouragement and great feedback on my weekly updates. Melissa also retains the title “local social media expert” for her great suggestions on how I might make better use of social media. I remained somewhat behind the times but don't blame Melissa. Between Melissa and Erin Graham (my lovely surrogate daughter), I can navigate and occasionally use facebook and twitter. Thank you Erin Graham for being awesome and supportive. We all love you and can't wait for our next get together. Sorry for the sappy attention; I couldn't help it. Thank you Elaina Moy for being an awesome lane mate. You and Mike offer great support in so many ways I cannot write enought to express my gratitude. Keep up words of encouragement. Thank you Sara Colangelo who always comments on my blog posts. You are one of the many super-positive supporters who never ceases to amaze me with your positivity. I welcome every high five, smile, and atta boy you and Dave throw my way. Thank you Stu Williams for the awesome insights and emails that get me redirected during my dramatic down turns. Your positive but quiet demeanor help me stay focused and get more back on the horse when I fall off. Keep up the fine support and keep modeling those awesome streamline walls. One of these days, I will fix my slow walls. I promise. Thank you Manny Paiz for all the kind words at the pub. You energy and enthusiasm get me stoked for more work ahead. I love the high fives, words of encouragement, and positive remarks. The small things you provide in these brief encounters help me over the bumps. Thank you Cheryl Ward for you continued support throughout our weekly practice sessions. You offer me great feedback about my current conditionining and weekly updates. Keep up the insights and feedback. I am afraid my IHT session interfered with my writing. My fingers are numb and I can barely focus on what to write. More thanks later….I promise. I know I left of some of you but I promise to write more in my next weekly blog post. My figures are tingling and I cannot write a word without a typo. Bear with me whie I regain my coppsure and get my bria right yeap, my bran right. I think Kathy may need to peel me off the floor. see you ext post…..